The X-Grip® includes a device tether recommended for outdoor applications. 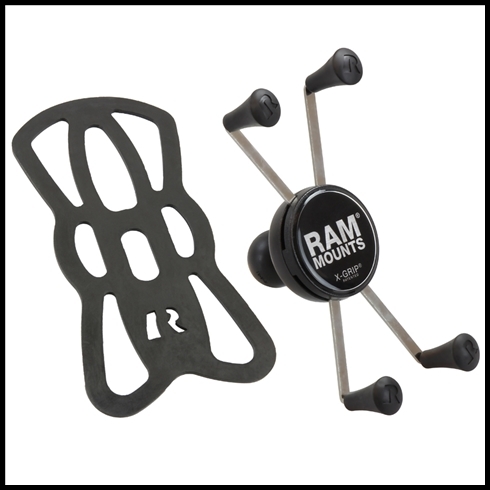 RAM highly recommends using the provided tether for all open cockpit applications while using this product. The cradle is compatible with handheld devices that will fit the dimensions listed below. It is important to verify the dimensions of your handheld device with a case/sleeve/skin when determining the overall size.